Vauxhall is in the southwest of London and is situated within the borough of Lambeth, offering a mixture of commercial and residential districts. 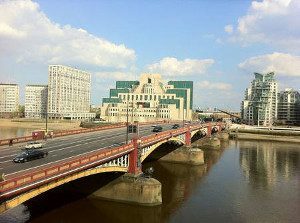 The area is famous for being home to the headquarters of the British Intelligence Service, with the building appearing in numerous James Bond films. Vauxhall enjoys particularly good transport links with its own Underground station in Zones 1 and 2, plus mainline stations and London buses too. For those using private transport, the A3 is the most direct route into the area from the south. 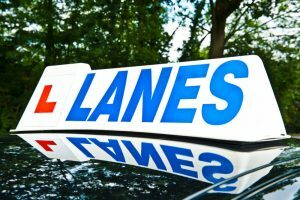 Lane Driving School was first created in 1914 which means that we have been teaching people how to drive for more than a century. From the very modest beginnings, Lanes has slowly grown over the decades to become of the premier independent driving schools in the UK. This experience has contributed to the excellent service we pride ourselves on, with every student receiving a carefully constructed lesson plan designed to meet their individual needs. 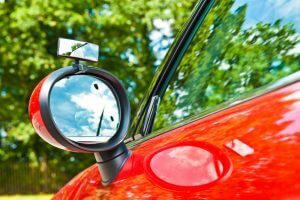 We understand that it can be challenging to fit lessons into a busy lifestyle even when you are keen to learn to drive! This is why all of our instructors are flexible and offer appointments which will fit conveniently around your prior commitments. You don’t need to waste time travelling to and from your lessons either as the instructor will collect you from your home and drop you off again every time. Our students will have the opportunity to drive one of our range of different cars, all of which are fitted out with the latest technology. There’s no distraction from other students too, as we guarantee during every lesson you will have the undivided attention of your instructor. Lanes have many years of experience in providing driving lessons to residents in Vauxhall. You could be the next successful student if you give us a call now on 020 8166 5678 or contact us via our page by clicking here. Lanes have a team of driving instructors available in Vauxhall who have been trained to the highest possible standard, and all of whom hold the prestigious DSA Approved Driving Instructor qualification. Many of these instructors began with Lanes, so we really can be confident about their expertise and knowledge. We believe that the relationship between a student and their instructor is vital to the overall experience and we aim to provide the best possible. One way we do this is by ensuring that you always have the same instructor, allowing you to build confidence and trust as well as providing the instructor with the opportunity to develop and adapt the right lesson plan that meets your needs. If you want to learn how to drive in Vauxhall, give Lanes a call today on 020 8166 5678 or contact us via email by clicking here. Every driver can remember what it was like to be a learner, and how daunting it is to learn new skills under the watchful eye of an expert. All of our driving instructors will go above and beyond your expectations to provide a harmonious and relaxing environment. However, some female students are simply more comfortable with a female driving instructor. We have experienced female driving instructors and are more than happy to fulfil these requests to help our students feel less stressed. If you would like to hear more about female driving instructors in Vauxhall you can call us today on 020 8166 5678 or email us via our contact page by clicking here. If you’re driving in and around Vauxhall, you may encounter quite a lot of traffic which means you could be stopping and starting regularly. Although advocates of manual cars prefer the control that gears provide, there’s no question that learning in an automatic is easier. Many of our students prefer to learn in an automatic car, as it means that when you’re trying to manoeuvre around town you don’t need to worry about stalling your engine or jerking the gear changes. Lanes has automatic driving instructors in Vauxhall; for further information give us a ring now on 020 8166 5678 or message us via our contact page by clicking here.